What kind of scams target members of immigrant communities? Individuals or businesses that offer housing and other services but just take your money and disappear. I’m undocumented. Can I still file a report? Absolutely. Our Office is a safe place to report crime regardless of your immigration status. 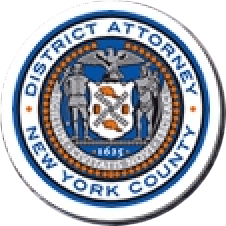 Our Immigrant Affairs Unit prosecutes cases involving scams and fraud affecting New York’s diverse immigrant communities. Whether you are documented or undocumented under federal law, our Office is here to protect your safety and your rights. To report a crime, please call our Immigrant Affairs Unit at 212-335-3600, regardless of your immigration status. If you are a construction worker who would like to anonymously report an unsafe worksite, wage violations, or other illegal activity in the construction industry, please contact us via WhatsApp at 646-712-0298.